Background: In recent years, few cases of post-artemisinin delayed hemolysis have been reported. Objective: All cases of post-artemisinin delayed hemolysis were reported from non-middle east areas. No case of post-artemisinin delayed hemolysis has yet been reported from this region. In this paper, we describe a case of post-artemisinin delayed hemolysis in an Iranian female. Moreover, previous reports have been reviewed. Methods: Patient’s data including demographic characteristics, past medical, drug and travelling history, present illness, vital signs, laboratory data, clinical course of current illness and follow-up findings were considered. 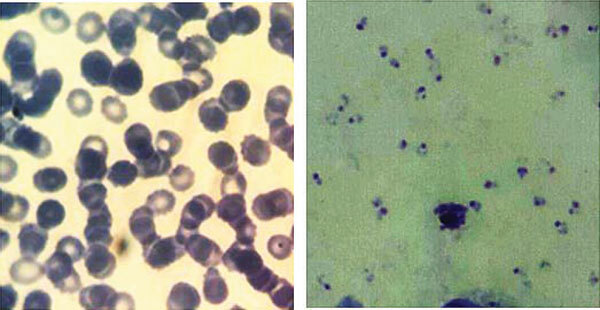 Results: A 27-year-old female with a recent travel history to Ghana admitted with severe falciparum malaria. She was successfully treated with parenteral artesunate. However after 12 days of post artesunate treatment, she returned with dark urine, malaise and fatigue. Conclusion: Considering the clinical course and base on a reliable causality assessment scale, post artesunate delay hemolytic anemia was possible. Artesunate, Falciparum malaria, delayed hemolysis, PADH, lactate dehydrogenase, GMP.